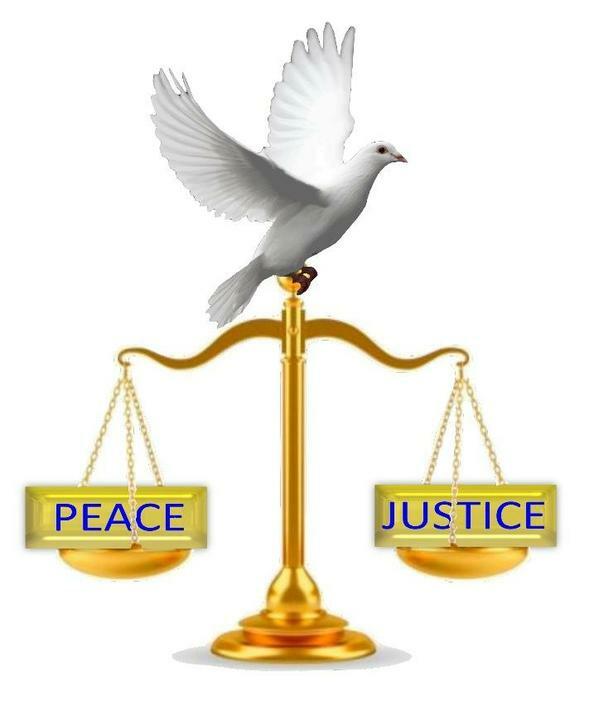 Our School established a Peace and Justice Society in 2014. Every academic year, new pupils are selected to lead the Society for that academic year. Pupils take this very seriously and proudly wear their badges! 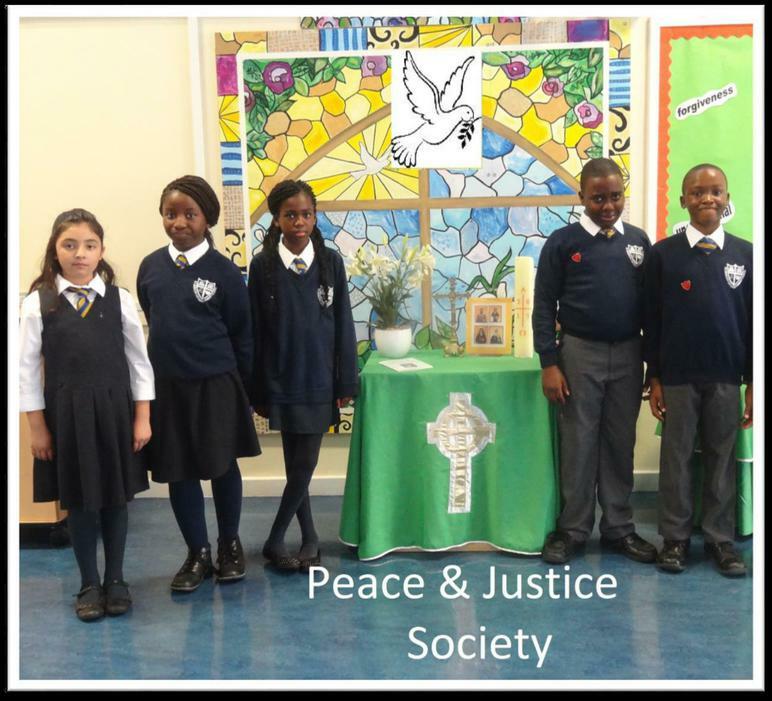 · To help the school to remain a community of faith. 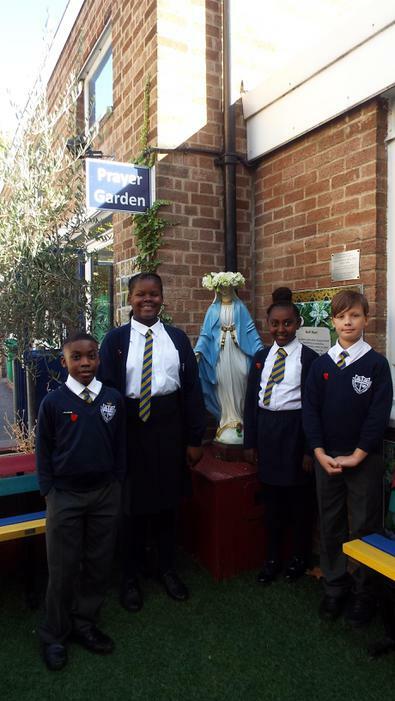 · To encourage the pupils to live their faith through their daily living. · To involve pupils in fundraising for charities. · To continue to develop strong links with the Parish. · To support the school in its Mission and Vision Statements.